No, I hope that you know that its just a joke! Of course, German is a beautiful language, and it is the entrance the to a whole new world full of new people and culture. But, I just needed something to introduce the topic of this article, the German negation. 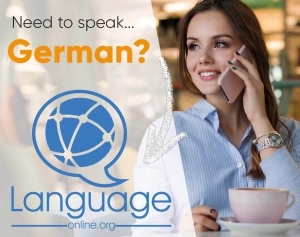 So, as you have clicked on this page of language-easy.org, I suppose that you are ready to enter these depth of German grammar. Well, the German negation is actually not too complicated. Although, there are some parts that do not exist in this form in the English language – and these are the parts where you simply have to study hard. So, what is the German negation? In the following I’d like to give you a short definition of this term in German grammar. Furthermore, we will talk about the correct usage of German negation and its different negation phrases. Well, as already mentioned, we should clear up what the German negation actually is. So, please try to keep in mind the following ‘definition’. The German negation or negatives sentences are formed with the word “nicht” (not) and “kein” (no/none). In the following, we will have a look at the more complicated part of German negation and try the clear up when to use “kein” or “nicht” in a German sentence. Auf geht’s! So, in this section we will talk about the correct usage of the negation word “nicht”. Well, you simply use the word “nicht” to negate sentences in German. Furthermore, the position of “nicht” in a phrase can vary, depending on what part we want to negate or emphasize. In the following, I’d like to list the most common ways of using “nicht” in the correct way. First, you can use “nicht” in the German negation at the end of a sentence with verbs in simple tenses, like the present or the past tense. “Philip weint nicht.” – Philip doesn’t cry. Whereas in compound tenses like the perfect tense it is before the full verb. “Philip ist gestern nicht nach Hause gekommen” – Yesterday, Philip hasn’t come home. Second, “nicht” is put before the definite article or possessive pronoun used with nouns. Third, and very similar to the second point, in front of names or proper nouns. Fourth, you place “nicht” before pronouns. Fiths, in front of adjectives. Sixth, you can put it before adverbs. Seventh and last, you can put “nicht” before the prepositions with indicators of place, time and manner in a German negation. Finally, I’d like to mention that “nicht” almost always come before the word it negates. Well, the only exception is when it negates a verb. Well, this part of the text about about German negation is about the correct usage of the word “kein”. So, as “nicht”, we also use “kein” in the negation of a sentence. First, we use the word “kein” with nouns that don’t have a article. Second, “kein” is used as a replacement for an indefinite article. So, in the following table I’d like to show you the ending for “kein”. Of course, all of have noticed immediately, that the ending are identical with the endings of possessive pronouns. Now, as we have cleared up nearly everything about the words “nicht” and “kein” in the context of German negation, I’d like to mention a last short point. Well, this point is nothing to worry about – but still worth mentioning it. Well, you simply will not get confused in case you want to combine these words with “sondern”: Both of them are valid. At the end I want you show a small exclusion of saying yes. Normally you allways answer yes in German with “ja”. Hast du eine gute Note? Ja ich habe eine gute Note. Kommst du heute nach Hause? Ja ich komme nach Hause. But after a negative question you have to say “doch” if you want to say yes. Kommst du heute nicht nach Hause? Doch ich komme nach Hause. Hast du heute keinen Durst? Doch ich habe Durst.